This is an ex-demo, used version of our regular water distiller. 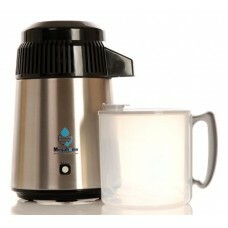 It has been fully refurbished by us and has complete stocks of all the things like the cleaner and charcoal filters. It may have the odd stratch or the box might be slightly damaged but it still comes with a full 2 year manufacturer's warranty and 1 year moneyback guarantee. Our water distillers take regular tap water, boil it gently to produce steam which is then condensed in the cooling system at the top of the water distiller. 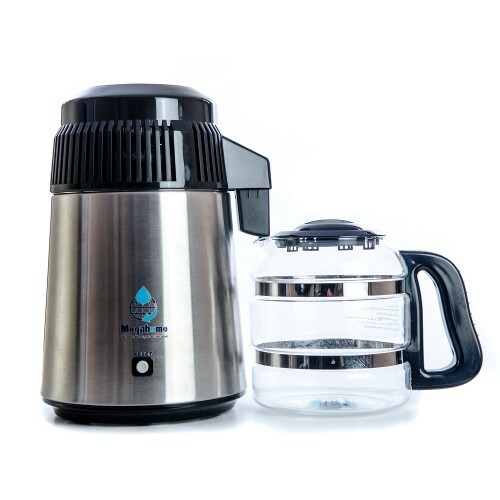 After evaporation and condensation the water is passed through a charcoal filter to remove volatile organic compounds (VOCs) and the water is safe to drink. 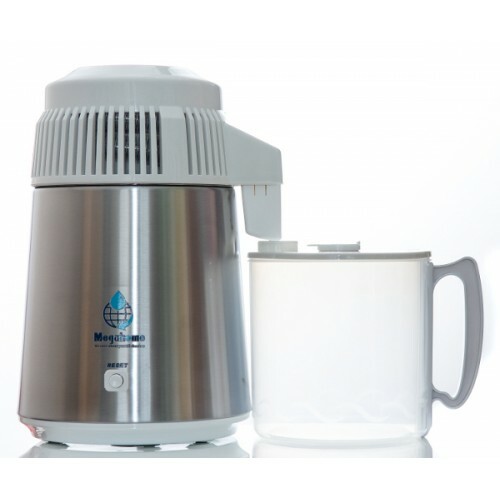 Water distillation is the best way to produce absolutely pure drinking water. It is better than either filtration or reverse osmosis. It is completely safe and distillation is used by the Royal Navy to produce drinking water. 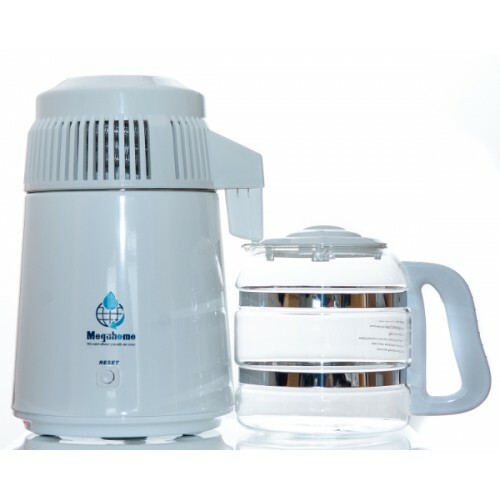 There are a number of myths you hear about distilled water - most are complete twaddle with no scientific basis. We charge VAT sales tax at 20% on all purchases made within the European Union. If you are outside this area VAT is not charged. By default all prices shown include VAT. If you live outside the E.U. your VAT will be deducted during the checkout process and before you make payment. Within the UK, shipping rates are based on weight and vary from £1.95 for small, light items like pinhole glasses up to £7.95 for a large, heavy items like a Water Distiller or Backlife. Shipping is added during the checkout process and before you make payment. We ship internationally and for non-UK customers your shipping rate comes up during the checkout process and before you make payment.